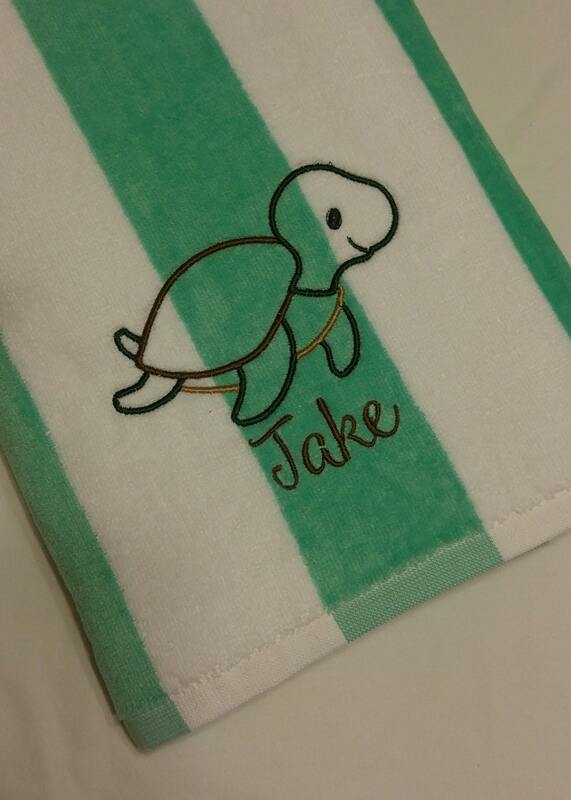 This fun towel features a swimming turtle with an embroidered name below. Default font will be a cute all lowercase typewriter font. 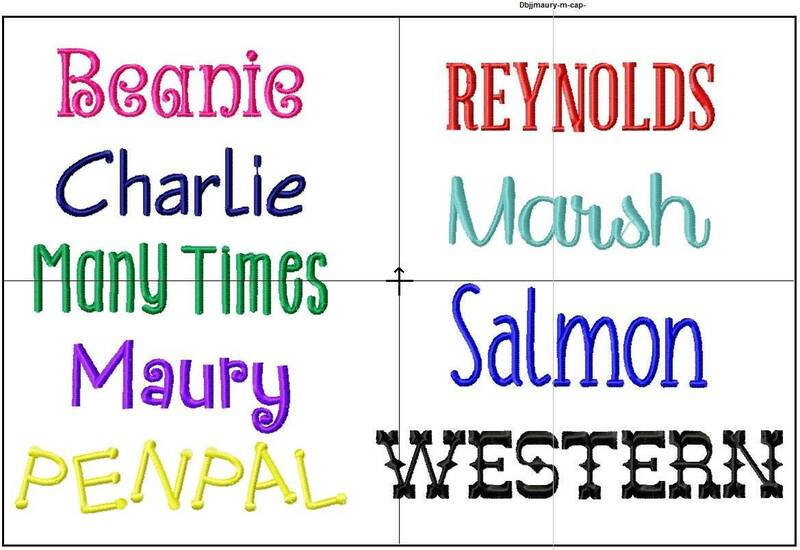 If you would prefer a different font, a chart is listed that you can request from! Default color for design is dark green/browns. 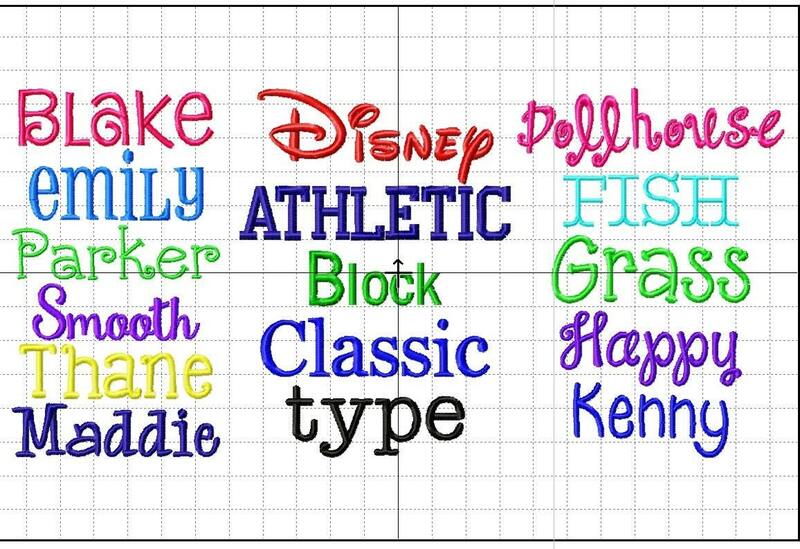 Please let me know if you have other embroidery color preferences! I absolutly love this towel. Great quality, I can't wait to use it for my son's swimming lessons. Quick response time and love the product. Nice and thick and great stitching. Would buy again! 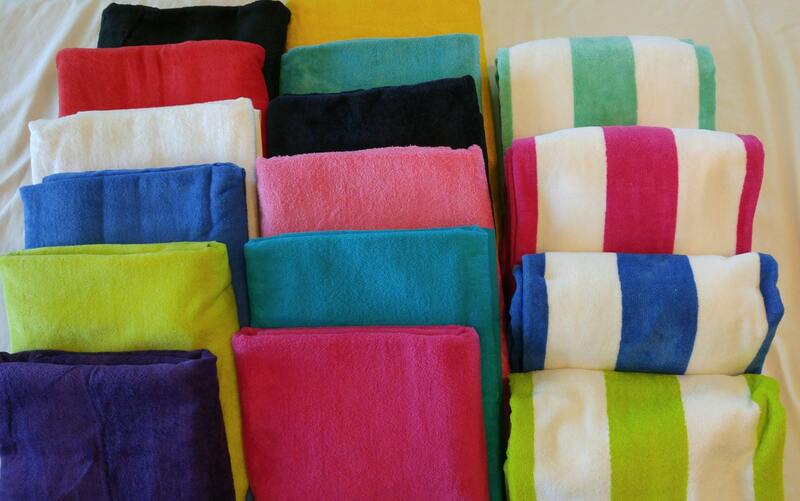 Love love love the towels. So impressed with the customer service and quality of work. Would definitely order from again! The ladies just had to try out the new nap towel for school and they approve!